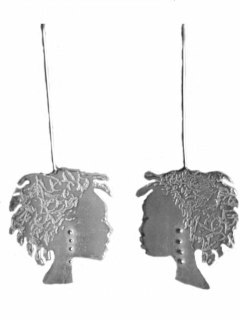 These ultra chic Afro outline earrings, hand carved and made in sterling silver. Available with a tradition ear hook, or with elongated wire stem. Also available in gold. Available in 3 different lengths. Wear these fly earrings with a tee and jeans for an understated cool vibe.